Wooden sash windows really look the part, a period London home that’s had it’s sash windows removed for UPVC or Louvres really suffers. How that happened, be it clever, unscrupulous UPVC window company marketing in a time of less information, or the owner just tired of the cold and continual repair, or a perhaps a combination of both – fortunately with the unrelenting growth of the internet, the understanding of what we can achieve with wooden sash windows is now well known. Did you know, double glazing your original wooden sash windows can cost less than replacement UPVC and as little as 40% of the cost of entire wooden sash window replacement. With modern technology we can normally install a double glazed unit into your existing wooden sash window, and provide close to new wooden sash window thermal efficiency, all at a fraction of the cost! To learn more on our wooden sash window prices please visit the link provided. Please, don’t get me wrong either, UPVC certainly has it’s place in many homes, and situations, just not the front elevation of your beautiful Victorian home. Take a look at this lovely example I found on Pinterest last weekend which inspired the post this morning. The pathway restored magnificently, and the front door just looks wonderful. The sash window decoration also looks quite splendid. It’s quite warming to see such beautiful, sympathetic restoration, especially in the current economic climate. Someone has gone to great lengths making this property as beautiful as it was over a hundred years ago. You rarely speak to a period property owner or developer who didn’t kick themselves for making the sash window replacement mistake at some point. Repairing sash windows can help protect the value of your property and save money come the time of sale too. Fortunately there’s a whole host of maintenance and upgrades that will bring your wooden sash windows up to modern thermal efficient standards, improve security, stop those icy draughts, and make wooden sash window repair a one time proposition. I intend to go through them in great detail offering you the opportunity to make an informed decision from the comfort of your home, and no investment other than fifteen minutes reading the information provided with absolutely no obligations, or pressure to buy. Did you know repairing wooden sash windows just once, if maintained well, should be enough for the duration of your time in the property. A sash window repaired correctly, that has all wood decaying fungi completely removed, is treated correctly, and then is decorated properly, simply cannot rot again. Don’t be tricked by generic ideas such as “you’ll forever be splicing bits out and repairing”, especially if that’s coming from a double glazed salesman that knows his windows only have a good usable lifespan in the fifteen year region. His windows will be replaced 10 times before your lovely wooden sash windows are ready for the landfill, and even then, wooden sash windows don’t cause that much damage to the environment on their way out, they will be used for energy or decay away. No such landfill issues. I’d also like to point out that London Sash Window Repairs Ltd repair, draught proof, and double glaze over 99% of all windows quoted on and as a result of the information freely available that you can repair your windows and upgrade them extensively, even this article for example, more and more UPVC fitters are now wooden sash window refurbishment teams. London Sash Window Repairs Ltd has converted dozens of teams over the years, I am quite pleased to say. Our sash windows London page highlights all the benefits of making good of your original sash windows. With modern technology now available, and a clear understanding of the conditions that cause rot, we can help you eliminate this problem, the first time. Wooden sash window repairs has moved way beyond a quick fix, to a long term economically viable solution, and we firmly believe in repair over replacement of sash windows. The replacement of a window sill for example, in hardwood, and front/inner cheek splices, will cost £160-£240 and will certainly take a window that has been condemned by a surveyor, on the sale of a property for example, back to a structurally good original wooden sash window. This is because it is well understood in the industry that wooden sash window repair is a long term solution when carried out correctly. Wooden sash window repair, need not be strictly ‘repair’ only either. There can quite easily be the situation your lower sash has rotted to a point that it is no longer economically viable to repair, and so we would replace the decayed sash like for like, making full use of the upper sash, and original box sash frame. This is just an example however, normally we will go to great lengths splicing and repairing bottom rails in order that we maintain as much of the original sash as possible, and also provide you with the most economical option for wooden sash window repairs. An example of this type of repair can be found at the link provided. Recent advances in technology, in the last ten years or so, has seen the very same compounds used for repairing the hulls on boats, and car bodywork that have been damaged, introduced into sash windows. It takes little thought to realise if these compounds are capable of withstanding motor way speed travel, in full sunlight contact, or in the wet, or worse yet, near frozen salt water, these compounds will have absolutely no problem withstanding sun, rain, or snow. 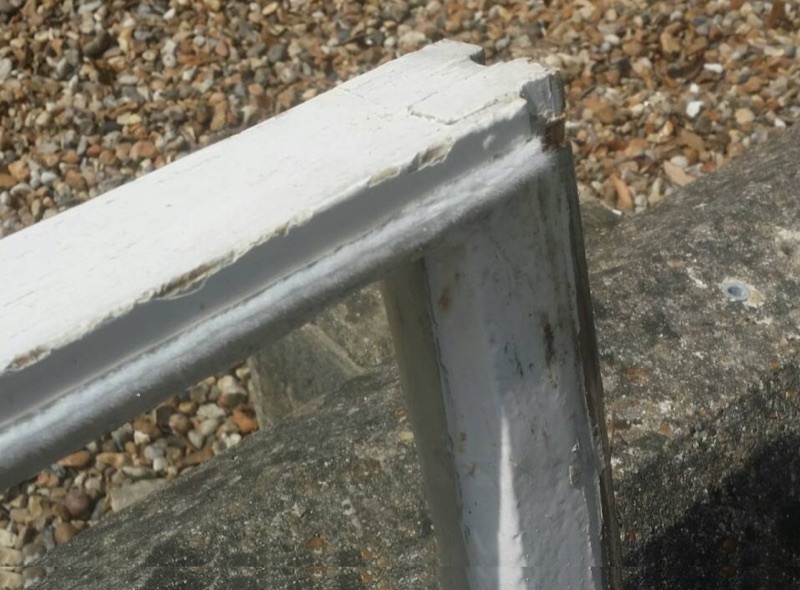 Resin has become an effective part of wooden sash window repairs, however we still insist they should be used correctly, which is as jointing compound for proper timber splicing or minor filling. For example the corner of a sill has perished. Assuming you can get back to good timber then resin is a far more suitable option than entire sill section replacement, however, simply filling large areas with resin is inefficient and makes no sense economically and I’ll explain that a little further. A one metre length of Sapele Hardwood sill section will cost the same as a set of resin and using that amount correctly will take longer than entire replacement of one sill section. Unless an installation has some serious complication, there’s no way that resin can be a better solution than a sill replacement, as it should cost more, based on the time taken to effect repair. Also further to this, a hardwood sill replacement leaves no easy issue of a timber movement and paint breaking, allowing moisture to penetrate. Because wood moves, and it moves at different temperatures and exposures to resin, it’s far more likely to create a problem sooner. Take a look at the sill in the picture below. This would require significant resin repair, and borderline not suitable. We would certainly replace the sill entirely in this example to be sure. Removing all paintwork, and being certain of removing all wood decaying fungi, then correctly treating, and curing to ensure no further rot under resin, would take considerably longer than splicing in a new section of timber to be sure of lasting, quality wooden sash window repair. This is where finding the right London sash window company is vital. Wooden sash window repair showing the importance of using resin only when appropriate. As you can see from the image, there’s rot exposed and cracking of the timber all along, and what appears to be previous surface filling. 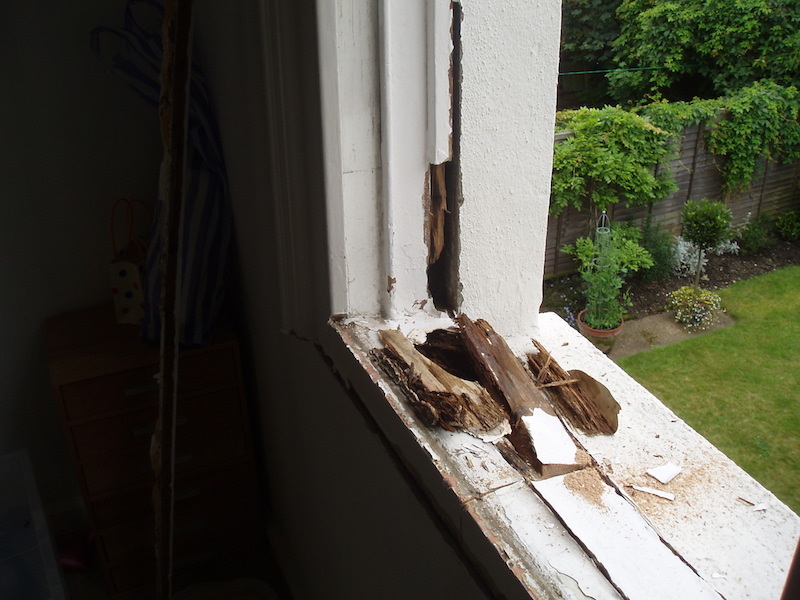 This is a perfect example of a sill that should be discussed, as it was one a competitor quoted to repair. On removal it’s quite clear just cleaning up the surface, would of left a long term problem – the sill is rotten right through underneath, wooden sash window repairs need to be effective and long lasting, in fact I recently wrote a DIY sash window sill replacement guide to help home improvers and DIY enthusiasts get it right. I clearly show the methods of effective wooden sash window repairs, it should be common knowledge in my opinion! Wooden sash window draught proofing, pound for pound, is the most effective action you can take to improve the insulation of your period home. Wooden sash window window draught proofing will take around five years to pay you back. Please take a look at the link provided which goes into all the complex calculations showing payback time and the associated additional benefits of wooden sash windows draught proofing. To briefly understand what we do, brush seals are installed into all perimeters of your sash window. The sashes are then planed to fit the frame and travel nicely. The sash cords are replaced and then new furniture is installed to improve security. If sash window security is an issue we can also provide sash locking bolts. This upgrade is accepted by insurance companies and in the event of a break in, will not leave an opportunity for them to quibble your sash windows as a reason not to pay out. If you’d like to understand more please visit our sash window draught proofing page, which has a great deal of detailed information and diagrams which help to fully explain the process. Pictured: wooden sash window draught proofing of a meeting rail. The brush pile that we install is plastic, nylon based. We would like nothing more than to use an organic material for this process but it would rot and deteriorate too quickly. The nylon brush pile pictured lasts effectively ten years and up. The better looked after, the longer the lifespan. You can improve the life of draught proofing by cleaning occasionally. The draught proofing system catches dirt which would of otherwise soiled your nets and curtains. As well as stopping dirt entering the home, the draft proofing takes all the slack in the frame and therefore stops any annoying rattling as well. It’s really worth draught proofing your sash windows. Every single home in London will benefit from a draught proofing system and as a result of genuine paybacks, other than the initial cost, it’s actually free because of the reduced heating costs. If your a landlord, with the new EPC ratings that will affect your properties, sash window insulation might be a good idea that’ll kill two birds with one stone. Happier tenants and better EPC ratings, which should mean good rental at the right price. 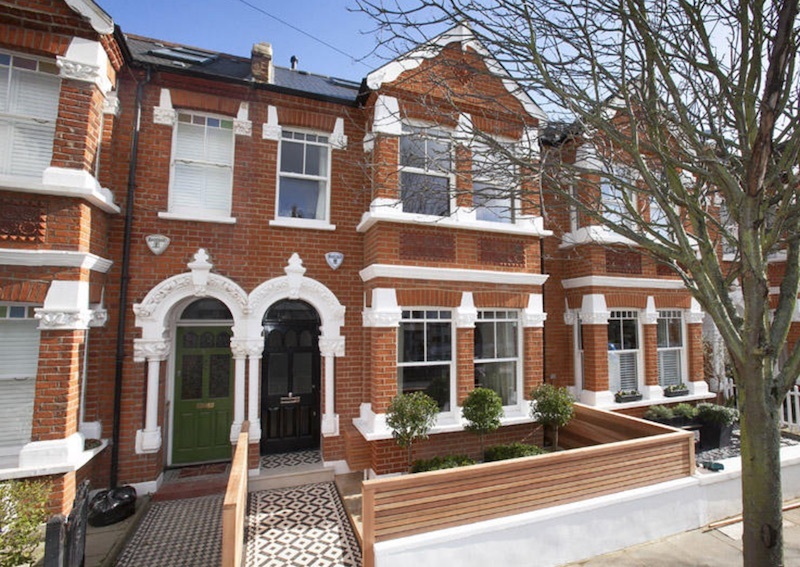 London Sash Window Repairs Ltd offer comprehensive wooden sash window double glazing options to single glazed wooden sash windows that will save you money on heating and reduce carbon emissions and provide most of the window sound proofing benefits of entire replacement . More often than not, we are able to work with your existing joinery and double glazing might only cost £500 per window. We will install double glazed units into the original sash window frames. Please take a look at the link provided which offers significant detail and close up look of how your windows will look once double glazed units are installed. This price quoted does not include painting sash windows but we will happily quote for this as well. Normally decoration is separated from the quoted as it’s quite pricey and something all homeowners can do themselves. We happily teach correct methods and appreciate clients who wish to have a go at this. With decoration being as expensive as the service and draught proofing because of the time it takes, it really is a great way to save money. 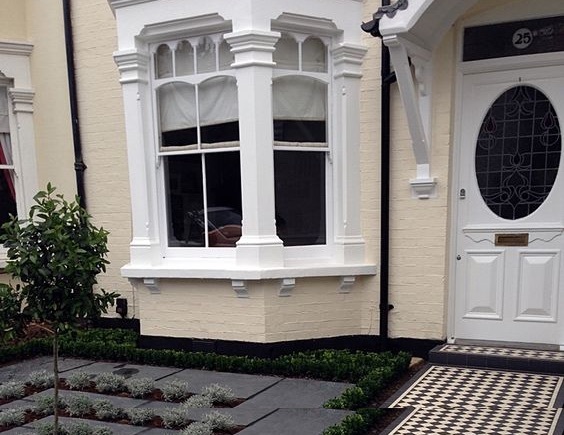 We prefer Wooden sash window double glazing of the existing joinery because it provides an opportunity to save our clients considerable money whilst providing most of the benefits of entire replacement. Aside from your windows not looking brand new (which arguably isn’t that important in a period property anyway), they’ll not be quite as efficient as all singing, all dancing wooden replacement double glazed sash windows, but then, they don’t come with the price tag either! Earlier in the article I gave you a link to our pricing policy for wooden sash windows. You’ll find detailed breakdown of each double glazing service, and it’s cost on that page. I hope you’ve enjoyed the wooden sash windows article. If you would like further information then feel free to contact us, or for special offers on wooden sash windows, keep an eye on our homepage as linked. Next month we are offering sash window refurbishment for under £500 per window, terms apply but they are genuine and honest. If you got this far thanks for reading and I hope you can take away some valuable information.